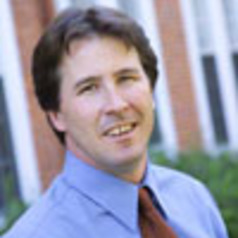 Daniel M. Shea joined Colby as director of the Goldfarb Center for Public Affairs and Civic Engagement and professor of government in 2012. He earned a bachelor of arts from the State University of New York at Oswego and a master of arts from the University of West Florida. He received a doctorate in political science from the University at Albany, State University of New York in 1993. He has served on the faculty at the University of Akron, Lafayette College and Allegheny College. In 2002, Shea initiated the creation of the Center for Political Participation at Allegheny, which offers student-centered programs such as fellowships and internships, community outreach projects, and scholarly activities including conferences and lectures. Several of the CPP’s initiatives garnered national media attention, particularly their path breaking research on the role of local political parties in engaging young voters and the decline in civility and compromise in politics. The author or editor of more than 15 books and dozens of articles/chapters on the American political process, Shea continues to pursue research on campaigns and elections, the dynamics of the party system, the changing nature of the presidency, the politics of scandal, and grassroots political activism. In 2012 he authored Let’s Vote: The Essentials of the American Electoral Process, and coedited Can We Talk? The Rise of Rude, Nasty, Stubborn Politics. He is also the lead author of a text on American government; now in its fourth edition, Living Democracy is published by Pearson/Longman and is currently used in more than 150 colleges and universities. Shea lives in Mount Vernon, Maine, with his wife, Christine Gatto-Shea, and their three children.